PARISH RECORDS: In 1538 an injunction was issued in England and Wales making it mandatory for every church to keep a book or register of baptisms, weddings and burials. Although few Welsh records survive, several hundred English registers have survived from the 16th century including a few complete sets from 1538. 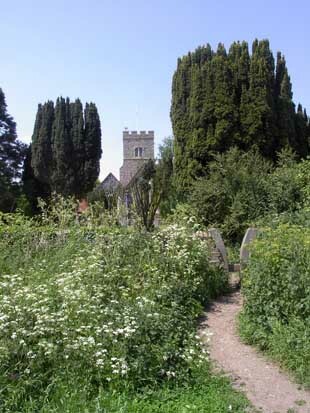 The majority of older English parish records can be found in county or city record offices, with some still retained by parish church’s. Welsh registers are found either at the National Library of Wales or in county record offices. In 1813 Rose’s Act was introduced to England and Wales transforming parish records. Under the Act each parish had to purchase from the ‘King’s Printer’ separate books either of paper or parchment for baptisms, weddings and burials. The Act stipulated that books must be written up and signed at the time of marriage, and within seven days of a baptism or burial. Before 1813 there was no uniformity in the way church records were kept in England and Wales. Many registers began from 1558 when Elizabeth I came to the throne. From 1643 to 1660, during the English Civil War and the Interregnum, there are some gaps in records owing to them not being properly maintained. Because marriages became a civil matter between 1653 and 1660, many church records do not record them.